Barner Books, located in the heart of Historic New Paltz, NY is a long established bookshop. 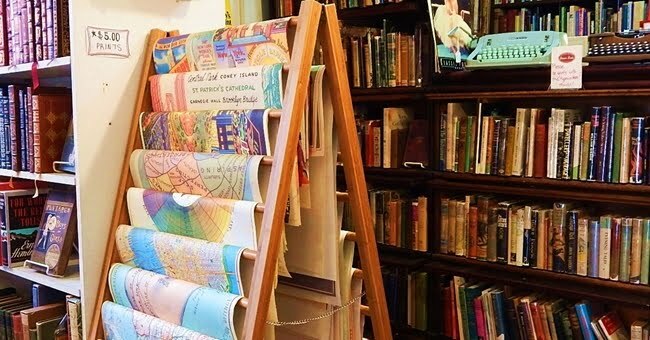 Known for its wide selection of new, used and out-of-print books, the store also features a full line of handcrafted journals. Proud to offer Blackwing Pencils along with gifts for the litterati. Open 7 days a week and available on the web, Barner offers a rare combination of service and value. Chapter 1: The Politics of Medicine and the Nature of Health. How we get sick: Sleep and oxygen deficit, injury and inflammation, electron and nutrient deficiencies, chemical / electromagnetic toxicities, pH imbalance, pathogens and bodily responses, weather, noise pollution, emotions and beliefs. Drug damage versus effectiveness. Clinical trials and hospital procedures. Iatrogenic disease and preventable deaths. Vaccine history, damage and substitutes; reversing damage after inoculations. Big Pharma’s marriage to the FDA, other government agencies, universities. How drugs are approved, marketed, and publicized. rBGH and aspartame. Corporate-owned media, the fallacy of “peer reviewed” articles, industry ties to medical journals, the bribing of doctors. Doping our children with psychotropic drugs. How electronic media affects the brain and social development. Drugs in our food and drinking water. Big Pharma’s campaign against natural remedies, including pine oil, ephedra, and aloe vera. Natural substitutes for common drugs. Chapter 2: The History of Pleomorphism and Inventions of Royal Raymond Rife. Life cycles of a microbe (Béchamp versus Pasteur). Pleomorphism proponents Virchow, Nightingale, Enderlein, Haefeli, Reich, Rosenow, Livingston-Wheeler, Naessens, Mattman. Little known facts about Royal Rife’s life, his Universal Microscope, Ray, and clinical trials. How Rife’s devices worked. John Crane, John Marsh, and the next generation of rife machines. Detailed diagrams and measurements of a pleomorphic life cycle as viewed through a modern high-resolution German microscope. Photos of Rife, colleagues, microscopes, instruments, news articles. Chapter 4: Frequently Asked Questions about Rife Equipment and Sessions. Precautions and contraindications (heart condition, pacemaker / defibrillator, implants, pregnancy / nursing, blood clots, are taking pharmaceuticals / herbs, are sensitive to concentrated EM radiation). Giving sessions to infants, children, pets, farm or zoo animals. Eliminating toxic waste released by rifing. Types of machines (with and without RF); desirable traits of devices and manufacturers. Lasers and LEDs, general sweep units, frequencies on CDs and DVDs, coils. Terminology for non-engineers. Radionics. Muscle testing. How to convert to lower numbers. FAQs: rife sessions, frequency selection and microbe response, Herxheimer response, how the frequencies work and were calculated, updates on Rife technology and treatments. Special Practitioners section. Insert, “A Short Course on How to Give Yourself a Rife Session.” Diagrams and charts: waveforms, Hz conversions, Healing Response vs. Disease Crisis, more. Chapter 5: Frequency Directory. Alphabetical, annotated, cross-referenced list of symptoms, diseases and frequencies for rife units. Along with single, stand-alone entries are the following: Arthritis; Blood Sugar Problems; Bone and Skeleton; Brain and Nervous System, Mind and Emotions; Chemical Sensitivity / Poisoning; Dental; Ears; Eyes, Gastrointestinal Tract; Glands; Headache; Heart, Blood and Circulation; Injuries; Insect Bites; Liver and Gallbladder; Lymphatic System; Muscles; Regeneration and Healing; Respiratory Tract; Skin; Tuberculosis; Urinary Tract; special problems of Men and Women. All types of pathogens: Bacteria; Candida, Fungi, Molds and Yeasts; Parasites, Protozoa and Worms; Viruses. Plus an all-new, comprehensive section on Cancer with nutritional support and complementary therapies. Each section includes how the body works, explanations of selected medical terms, and natural adjunctive therapies including nutrition, herbs, and compatible electromedical equipment. Chapter 6: Creating a Better World, Inside and Out. The trauma of illness and death. The five stages of dying and the implications of letting go. Doctor support or lack of it. Politics of food and water. Legal theft and criminal commerce (when a privileged few and corporations control the world’s wealth). Corporatocracy propaganda and “front” groups. Electronic invasion of privacy. Overcoming the dominator (dominant) paradigm. Cutting edge scientific research: the interconnection of quantum particles and the human as hologram. The power of prayer, long distance healing, group intention, and healing with the heart. The Unified Field. Studies on the social effects of meditation. Changing the structure of water and our own DNA. Love as a resonance. Hardcover. Sturdy sewn binding. 1104 pages. 8¾ x 11¼ inches. < 6 pounds. 2 inches thick. Thanks for sharing this kind of information with us. I am so happy to read your blog.It's so informative. Please share more and more in here with us.Thanks once again. Like a beacon - the Barner Books, Book hearlds visitors to our Church Street Shop. We're glad that you stopped by! 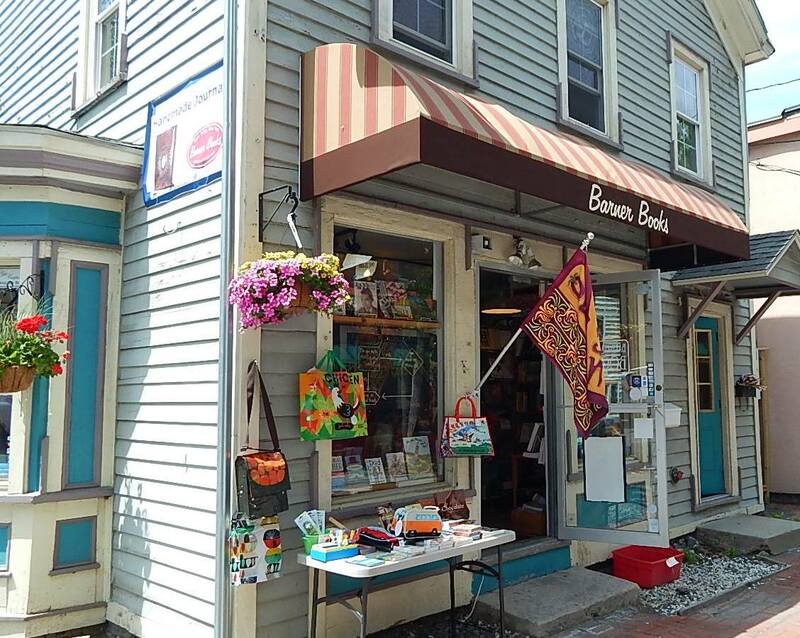 Barner Books is a community bookshop in New Paltz, New York. We handle used, out-of-print, rare and some new books. We are known for our customer service. Featured at the shop are also handmade journals and the fabled Blackwing Pencil. The shop is an eclectic mix, and many of our customers visit frequently. Used books stores provide a unique look into the culture of a community. We believe ours shows the rich diversity is New Paltz. We sell online (Barner Books) as well as in the shop. We also are always looking for interesting books to purchase. If you're planning a visit to the Hudson River Valley area New Paltz is a terrific destination. We're mid-way between New York City and Albany--just off the thruway at Exit 18. Barner Books is in the Heart of New Paltz.